we will get sick again. someone will make us mad and hurt our feelings. if you watch the news all the time you will get angry or depressed. there really isn't an EASY button for anything worthwhile. these make us stronger, they make us into people that say, "you know what? I've been through a lot, and these little problems are not going to stop me." We can survive painful situations and come out even more beautiful for having been broken into tinier, smaller, and more light reflective little pieces. Remember my disco ball saying- it's like the shattered mirror that is more sparkly because it's been broken. you can learn to say, this isn't gonna get me down...instead of dwelling on problems or all the bad stuff, I'm going to stop and start thinking about all my good stuff. WE CAN. WE ARE IN THIS WORLD TOGETHER. We can choose to let ourselves love someone new and not people that hurt us, cheat on us, or try to hurt us. We can leave an abusive relationship. We can heal from wounds by people that have hurt us. We can grow stronger and more understanding from the hard things we've been through. We can grow better, not bitter. We can find a way to take care of our family. We can choose to forgive people- it frees you from walking around with the pain of what they've done to you. We can choose wisdom and stay away from those that have hurt us. We can be the change in our families. We can spread light to a dark world. We can love someone and forgive them for awful things they've done. We can give people compliments more -just watch what happens when you do. We can be happy and dance with joy. We can cry out to God to help us and hold us up when we can't go on. We can realize that we have the power to have an imperfectly, awesome life. the most beautiful lives are when people had, have or are going through hard things and they become the coal...the coal that goes through so much pressure, it turns into a diamond. Just like when we work our and our muscles get sore...they tear, the very muscle fiber gets torn..but after it heals, the muscle become bigger, stronger...ready to do "harder" things than it did before. 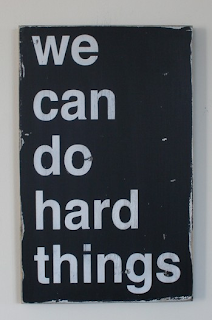 WE CAN DO HARD THINGS! Bring it on baby! We can do it! Nothin's gonna stop us, scare us, or make us give up. We Can do it. You can do it! I'm cheering you on, sending you love, and a whole lot of you are not alone-ness. I love you AND We Can Do Hard Things. Decide today to live like you mean it. 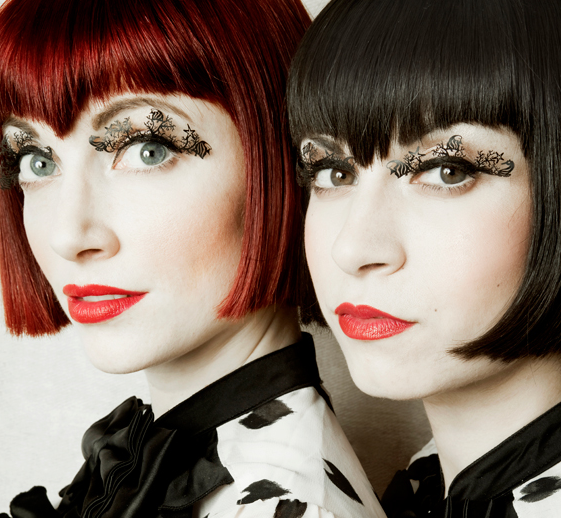 And you will definitely have new eyes when you glue on some paper eyelashes! 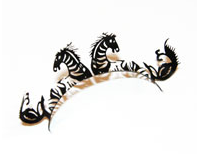 London based designer Chunwei Liao, and his company, Paperself is creating these paper lashes. and look at the "under the sea" small lashes...look at the detail...these are incredible. what do you think...would you wear the paper lashes? 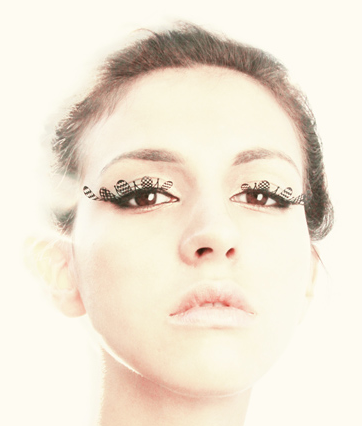 or what might be an awesome idea for paper lashes? -I think if they did famous city skylines...the Eiffel tower on your eyes, NYC skyline on your blinkers, maybe paper feathers! where: I wore this to my friend's baby shower....realized when I got there, it was a good thing I brought my flip flops. It was outdoors in a hilly, wobbly, grassy, beautiful backyard. 15 steps into the baby shower I realized I would be headed to the emergency room with a broken ankle if I took another step in these babies. I went barefoot in the grass until I put my flip flops on to trek back to the car. I am in love with these leopard pants from Forever 21- I only wish they were less rust-orange-brown and a wee bit cooler colored...like more tan-camel brown. I once read someone wrote that leopard print never goes out of style it's always a classic...and I quite agree. Maybe my next hair do should be leopard print. Do you own a favorite leopard print item? what is it? CLICK this if you wanna see more pictures from my adventure in baby showerness. and I prayed that the winner would be someone who would really need it...before I began the random selection. after she was selected, I wanted to read all her comments, as I began to read each one of her comments I wanted to cry...(and some of her comments were just about loving the palette and then I read the comments that she battled cancer and would watch my videos on the hospital) and I discovered just how much she deserves this! Her story is on youtube...she has battled cancer and has been through so much and I think she is amazing and so brave! I am so excited that she won. It is such an honor to be a part of each of your lives...I can't put into words what it means to me to know that for any part of your day, that you share your precious time with me, I am beyond honored and so very blessed to be a part of your life and you guys are all my greatest blessing. Just like when I got to meet the 2 sweet girls in Whole Foods tonight, the second they say hi, I hug them, learn their name...it's like we are dear old friends that I've always known. I feel your love and I thank you for your comments...you encourage my heart so much. I really wish I had hundreds of thousands of these palette to give to each one of you! And I am so proud to see how awesome you all are...you guys are excited for the winner and congratulate them! I just love you guys and how awesome you all are! Each one of you is a part of this page, a part of the kandeejohnson channel on youtube...you are the reason I do this, the reason I started on youtube...and please my love coming off this page. then when I went to go look at the site, I saw that NARS is giving away a FREE trip to NYC for Fashion Week! *FREE airfare *FREE fancy hotel *FREE dinners at the coolest restaurants *FREE consultation at the NARS flagship store and YOU GET TO GO BACKSTAGE TO THE SHOWS at FASHION WEEK!!! Yes, please do a cartwheel of excitement right now, with me! I am not entering the contest so you guys don't need to vote for me, but you can go see the picture I uploaded to the NARS website HERE. Go and recreate ANY of the looks on their website and upload your picture so one of you guys can win! So come and watch the tutorial..this look is so gorgy-beautiful! I love it! And for any of my girls with brown eyes -this look sets brown eyes off like nobody's business. It looks great on all eye colors - but this is a double thumbs up for us chocolate chip eyes! ps. please guys post the links to your picture on the makeupyourmind site or your picture in the comments below so we can all vote for everyone...I really want one of you guys to win this awesome contest!!! Want younger, clear skin that looks and feels as smooth as porcelain? Time to head to the kitchen with me! 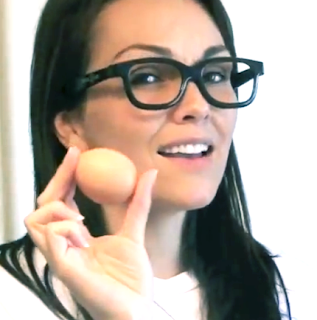 We're gonna cook up an "egg-cellent" egg mask recipe that will take your skin to "your-skin-looks-amazing" town. 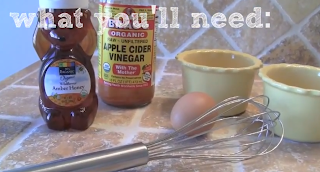 *you can NOT use regular vinegar. Vinegar has a tonic action that promotes blood circulation in the small capillaries that irrigate the skin. It is also antiseptic, preventing the proliferation of bacteria, viruses, or yeast that trigger infection. It can dissolve excessive fatty deposits at the surface of the skin and reduce scaly or peeling conditions. Lastly, vinegar regulates the pH of the skin. HOW IT'S MADE: The best quality apple cider vinegar is made with fresh organic apples that have been crushed and allowed to mature (aka ferment) in wooden barrels. The good kind (like the Bragg ACV) retains the “mother,” which is a natural sediment on the bottom of the bottle and it should be a little cloudy and sort of honey colored. APPLE CIDER VINEGAR contains natural enzymes, vitamins and minerals and is rich in antioxidants. It has Vitamins A, B and C, beta carotene, bioflavonoids, calcium, magnesium, potassium, phosphorus, copper, iron, sulfur, iron, fluorine, silicon, boron and pectin. How's that for super vinegar! It naturally balances the pH balance of the skin, fight bacteria, infections and is a natural anti-fungal, AND it reduces inflammation. It is an awesome astringent (toner), for sensitive and oils skin. Vinegar can even do wonders for acne and itchy skin conditions due to eczema and sunburn and can help blast fungal infections, warts and even skin tags! The natural occurring acids in honey acids are very safe to use on skin and can loosen bonds between the dead skin cells junking up your skin, making it easier to shed the dead layer and reveal your smoother more glorious skin underneath! These acids also increase elasticity, balance out oily skin, stimulate collagen production, and minimize lines and wrinkles (woo hoo!) making you look younger and more "new and improved"! An egg mask is one of the best natural remedies for irritated skin. Eggs contains amino acids that help in reduction of any inflammation. Eggs not only smooth and tighten the skin, but help shrink pores. Even put it on your neck to tighten any skin that isn't a tight as you'd like! 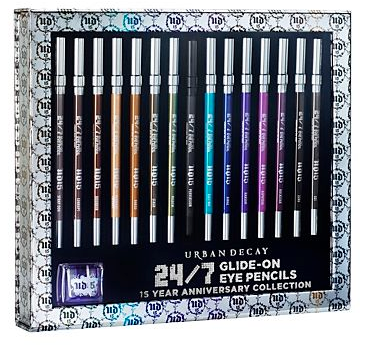 Urban Decay 15 Year Eyeliner Collection- WINNER Update!!! All winners are randomly picked, i had picked several, but making sure everyone played fair and followed the rules..oh man, I wanted to pick them, but I think a few people forgot to read all the ruley rules. Camille Bradbury please email me to confirm it's you and to give me your address so I can ship this baby to ya! AND to ALL the people that created fake accounts as CAMILLE and emailed me that they are the winners- that was not nice....I already have identifying info on her that I just needed her to verify and confirm. 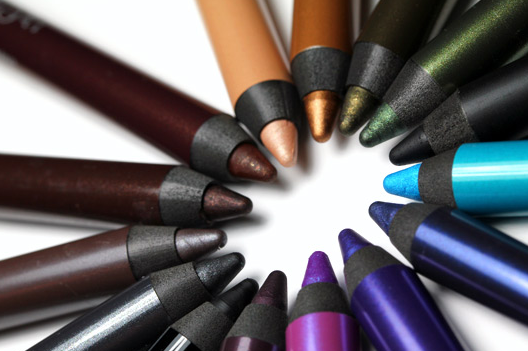 even though you weren't the random winner...I read your comment and I don't have any more of the eyeliner sets, but I will ship out a special "goodie bag of urban decay things" for your sister to add some "color" to her heart! 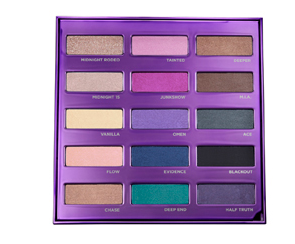 Don't forget...there's still time to win the Urban Decay Palette! CLICK HERE TO ENTER! Remember these contests are for fun! Let's all be happy for the winner -the next contest winner could be you! I love seeing how awesome you guys are..you guys are the true definition of "good sportmanship"! I love seeing you guys soo excited for the winner. You guys are so awesome that you are so happy for the winners and appreciative of me even offering a contest...i love you guys! 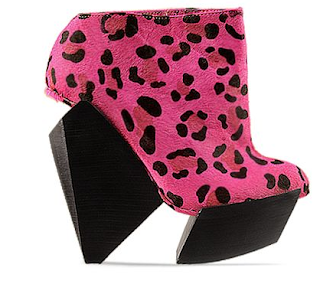 are you ready for the next big trend besides the Jeffrey Campbell Lita? Not sure if these will beat the Lita's popularity....but as I learned in high school, just because it's popular, doesn't make it cool (insert me wearing white leather, pointed toe Doc Martens and a gigantic pair of bright red baggy jeans. How I wish I had a picture to show you! And insert me, sometimes eating lunch by myself...oh mean high school you! I just want to try these on to see what it's like to walk in them! 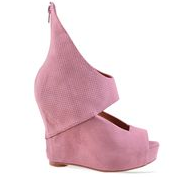 This is the Delilah by Sensa...and these shoes are ready to kick some "average shoe-ness" out of their way for sure! Now this is like taking an art gallery with you on your feet. People did comment it was a little tricky or impossible to get these bad boys on. I'd just put them in a shadow box and hang them on my wall. And you can even think pink in these clompies too! 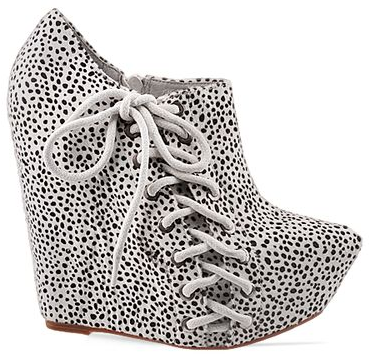 On a more whimsical note: May I introduce you to the Jeffrey Campbell Saturn 2 shoe - I kinda love this shoe...i reminds me of a suede-fairy-candy-drop and paired with some black leggings, long layered tank dress and maybe a funky blazer, these shoes could dazzle! 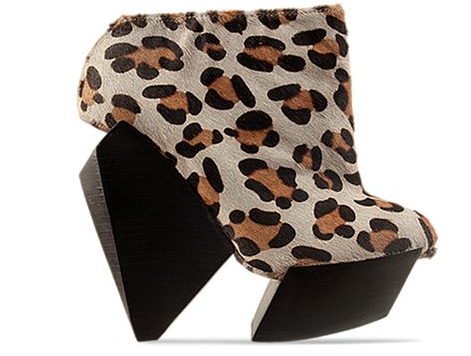 Here's another Jeffrey Campbell dandy...the Zup Fur. 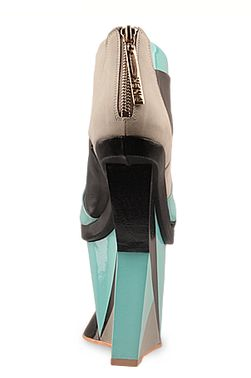 Me loves the side corset action on this shoe! NOt sure how well I could walk in it though! the comes in black with fun neon colored laces....like neon green...it comes in neon pink too! Is this a shoe you may be asking, well, that you can walk in? Yes Sir! This display of heights and architecture is made by some beyond creative folks at FINSK and these babies are SOLD OUT on the SOLESTRUCK website! 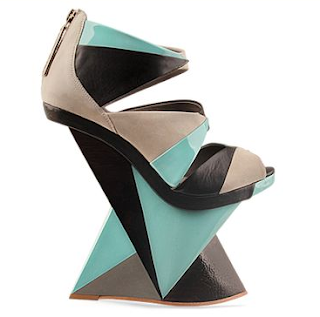 And look at this....modern design....I think Jeffrey Campbell shoe designers are amazing..look at this shoe! It's the Right On by JC...I just want to try it on! Lay it on me...comment below...would you wear any of these? How would you wear em? Let's share some creative ideas! I remember back in the day when I had a hot pink and black Kaboodle or Caboodle (I don't even remember how to spell the name is was so long ago)...and it fit my one mascara, a pencil eyeliner, my fav liquid liner from L'Oreal that smelled weird, my Coty face powder and a small collection of Bonne Bell chapsticks and Covergirl pearly frosty lipslicks. My how many Caboodles I'd need now to hold all my make-up. So I got an a really cool white wooden, pen and pencil holder at Marshall's. The best is, it spins too! So with a slight spin of the "wheel", I can grab a lipliner from the cool corner or spin again and get a red from the reds and darks corner! Anyway, to control and separate ans easily see all your colors. I like, or at least I dream of my make-up being stored and displayed like in a store. 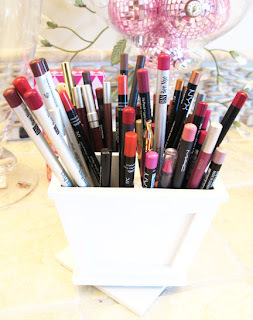 And yes I bought a couple other pen/pencil holders to store my make-up brushes and eyeliners too! Hope this jump starts your creative-organizing side! 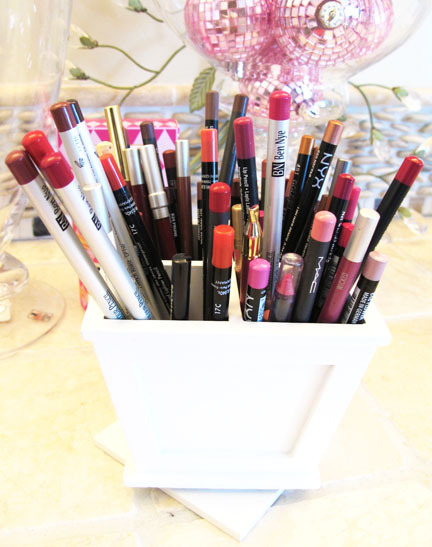 If you have any awesome make-up beauty storage tips, please comment below and share them with us all! 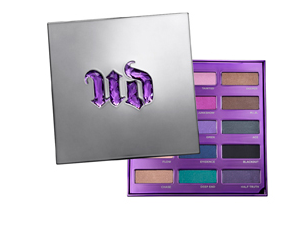 Yes, the latest and most artfully designed eyeshadow palette from urban decay is up for a giveaway! 15 ALL NEW eyeshadow colors from neutrals to metallic colors which are all the rage for fall...to a new matte, inky black....and the packaging turns into a cool keepsake box when you're done with your shadows! How cool and glam is that for recycling your packaging! I got two of these. One for me and one for one of you! I know not everyone can win, but it's fun trying and I will try to do more giveaways...it's my favorite to be able to give you guys something fun from me! Yes, it will come packaged and mailed by yours truly! 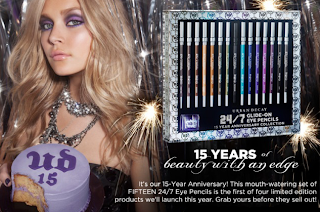 CLICK HERE TO ENTER to win the totally sold out 15 year Anniversary Eye Pencil Collection going for twice it's retail price on Amazon and crazy bids on ebay!!! You must enter a comment below the contest video on youtube. You can live anywhere in the world - I'll ship it to you! Winner will be announced on Sunday 8-28 on this blog. Have fun, and now watch the video for extra rules on commenting if you missed them already! Disclaimer alert: Urban Decay did not pay me a penny, toothpick, or anything to do this giveaway. And lil' ol' me will be packaging and shipping this to the winner! I can't wait to see who wins!!! It's time for an "I love you!" Giveaway- with URBAN DECAY's hot new stuff! Happy Monday! It's been a while since I had a giveaway...and since I was sick and didn't upload a video last week, and everyone sent me sweet get well comments... I wanted to thank everyone for sending me love...so I thought I'd do a love giveaway! but they are selling on Amazon and ebay for over $229 now! Which color do you love the most? winner will be announced by friday. and to win you can live anywhere....I'll ship this bad boy wherever you live! and I doesn't matter too me how old you are..winners can be 7 or 97. Wait til you see what else I'm gonna give away on youtube!! Happy Monday...hope this makes the week a little more fun!!! I don't know what does?!? Missing that certain something with your smile? BLAM! Add a lady bug to your lateral incisor. You've whitened your teeth to a level "blindingly white" and still not getting the sparkle you want? BLIM BLAP SHAPOW! 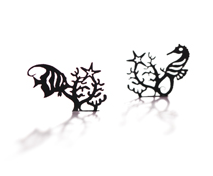 Add a bling to your bicuspid or cuspid. ok, this is not new, nor is it a tattoo, but it's from the same Japanese creators that are setting trends in Japanese temporary teeth tattoos - a temporary tattoo is placed with special glue, said to last a few days. Teeth Tattoos are not a new Trend (note the British guy above, did that months go in the UK)- And Steven Heward, the Tooth Artist, has been tattooing teeth for 30 years, here in the USA. Look at these! 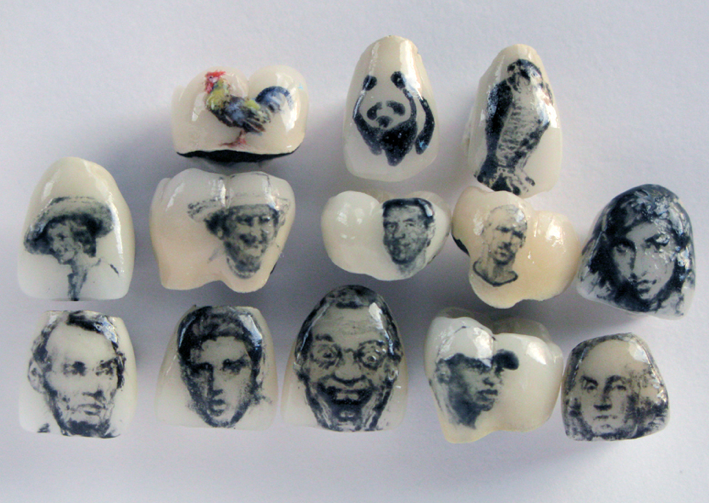 He is amazing- these are paintings on teeth! For tooth-crying-out-loud! 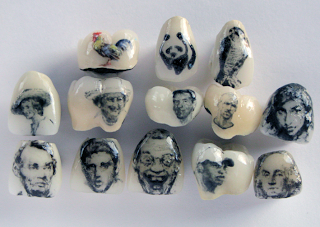 get a picture of the "Beebs" permanently "tattooed" on your tooth by the Tooth Artist, himself. Take that everyone that said teeth tattoos are a new thing. a pair of red lips on your front tooth or maybe a smiley face emoticon anyone? www.smileshop.com has been selling these babies too! They say the "teeth tattoos" will stay in place for 24 hours, depending on your oral habits. Pen chewers, this may not be for you. I think you have to have this done at the dentist. What do you think? Is there anything you'd get tattooed on your teeth? This is one tutorial I will NOT be doing. Just say Ole' it's time to Ombre! Ok...so Ombre isn't that new...it's been around for a while now, I know. no need to touch up your very often if you just highlight the tips! The Ombre look, looks (for the most part) like a natural sun-kissed look...like you're a beach babe that lives in the sun, which has lightened the ends of your hair...but your "new, darker roots" and grow-out haven't really kissed the sun yet. That's the basic idea of the look. Low Maintenance...Wallet friendly..and even though most celebs and the fashion world already showcased this look last year....I still think it's got a more "not too much work" look too it that I still like. The darker roots to light effect is done useing a French hair technique called balayage. Balayage is painting hair color or lightener right onto the hair with a brush, which give a natural, more "done by the sun" look. Instead of the old conventional method of using foils, which most times creates a lovely line of demarcation (hence you have stripes or spots in your highlighted hair). The highlights are painted straight onto the hair with a brush, which give a more natural sun-bleached look; instead of the conventional foiling method used for highlights which often leave a line of demarcation or as some would say, "what the leopard spots did they do to my hair?" Alexa Chung said "Hip Hip Ombre!" Drew Barrymore said "Ombre Ole"..last year. 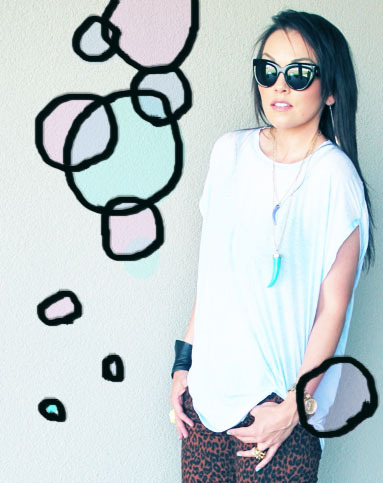 Do you love or loathe the Ombre? Or do you just think the Ombre is so passe? or maybe you say: "what the hay, I'll try Ombre?" 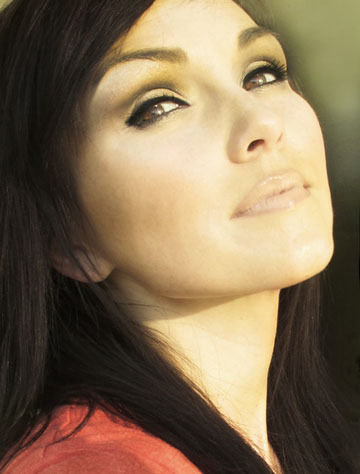 I forgot to tell you guys they have a special "Glamour Kandee Exclusive Make-Up Tutorial Video"! So have fun watching this "you-won't-see-this-on-youtube" make-up tutorial! Yeah! Yeah it's make-up time! OR CLICK HERE TO WATCH IT ON GLAMOUR.com and you'll get to read the article that they wrote for the Glamour website about yours truly! 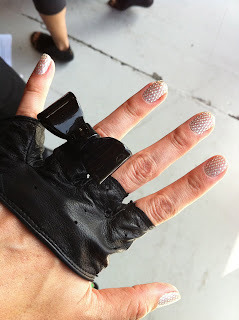 they look like little diamonds on your fingers and sparkle like liquid silver on your nails. These don't even compare to the Sally Hansen Nail Stickers...these are wayyyy better. These babies are great. They went on super easy, no drying time, because they are just nail decal-sticker polish. 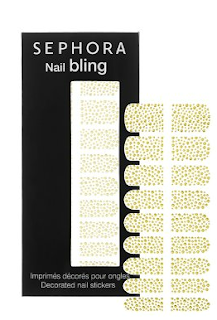 Even the sales girl at Sephora, where I bought mine said these were amazing and wayyy better than Minx! Pictures don't do these babies justice. 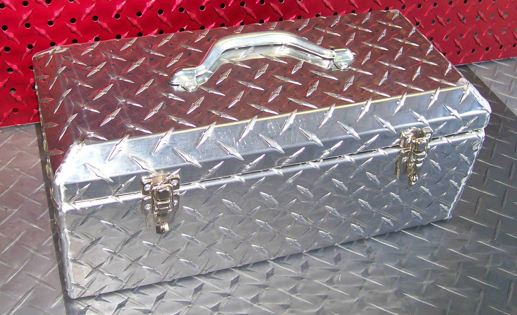 They feel like they are are as strong as this tool box too. And when I took them off, my nails felt stronger and sturdier too! They lasted for days, and would've lasted longer but I took them off. I've heard when applied to the toes they've lasted for up to 3 weeks! 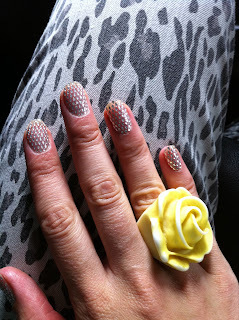 I got tons of compliments on them....everyone stopped and asked, "what is on your nails? ", "where'd you get those? ", "how'd you do that"...because they are like having 3-D nails...they feel so cool and textured- so not like, flat ol' polish! these nails are so fun!!! land, get bag with all the outfits I spent hours preparing, find person driving us to set (for the show I was working on, can't wait to tell you....some days I just want to jump up and down and tell God, "thank you soooooo much for blessing me!!!!! "...only God knew all those days I felt so down and depressed in my past, and could never imagine that my life could or would ever get better...that He had this in store for my future! If things are bad right now...please just keep waiting...you have a sparkling, jump up and down day waiting for you too, you can't see it, but it's there! I promise...just keep resting in that hope! i had no mirror...so I was so glad I brought the new 15 year Urban Decay palette that has mirrored packaging (see above picture-roonie) and the mini-mirror in the NAKED palette helped out too! I must say, I was quite impressed with how well my lipliner came out despite applying it in crazy stop and go traffic! Good thing I know how to cover up bags and rings under my eyes...I was tired on the inside but didn't let it show in the outside! When I got to set I had no time to do any touch-ups, just throw my outfit on, spray some weird hairspray on, they had in the bathroom...and run. Click here to see what I did as soon as we wrapped filming...yay!